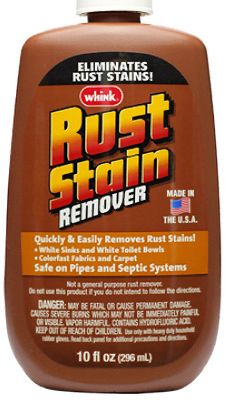 10 OZ Rust/Stain Remover For All Colorfast Fabrics, White Sinks And Toilet Bowls. Note: Not A General Purpose Rust Remover. Read Precautions And Directions Before Using. This Is An Acid-Based Product.